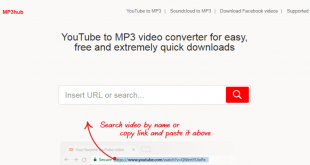 Hosting your videos on a free, video sharing website such as YouTube, Blip.tv, Vimeo, Dailymotion or even on a social networking site such as Facebook has many advantages to reach higher visibility on search engine results (SEO). Best, of all, content delivery costs are paid for by the sharing site. OneLoad is a free video distribution service for brand advertisers and content creators who want to easily seed their videos to the top video and social networking sites. Users can also leverage our Destinations feature to easily distribute to custom sites as well as encode and create RSS feeds to syndicate your video anywhere. Videos distributed through OneLoad are automatically tracked by our powerful analytics suite. See views, viewed minutes and second-by-second engagement. Next How Do ID Badges Talk? This is the best way to know How effective are these videos at driving qualified traffic to websites.